skaggy the poet « DDOcast – A DDO Podcast! Episode 243 is ready! Here’s a LINK to the episode – just left-click to play, right-click and ‘save as’ to download as an mp3. You can find DDOcast on iTunes, the Zune Marketplace and Cyberears.com. 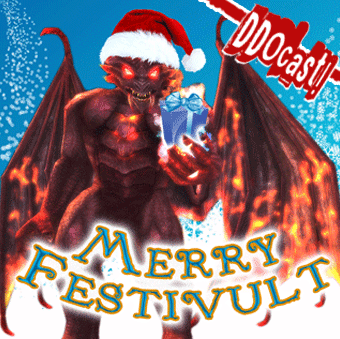 This week we’ve got a special Festivult Episode just for you! 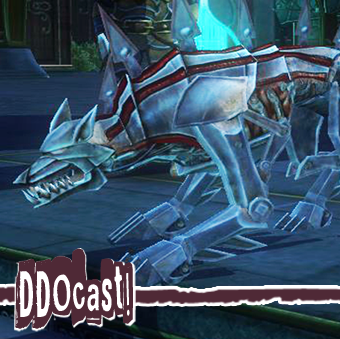 Sig and Anne also bring you the latest DDO news from Turbine and the community! We also have some great segments from Skaggy, Ecgric and Shamgar! 0:33:18 Whatcha been doing in DDO? 0:36:14 Sponsor Break: Dangerous Cookies?! 0:46:25 Sponsor Break: Festivult Coin Collector Set! 0:58:22 Lightning Post: Festivult Poetry, Raid Rewards, Assasin Trap Monkeys! 1:12:14 Playing First Edition AD&D! LINK for More of Skaggy’s Poetry! LINK for Shamgar’s Buidling Blocks #1: DDO 101 Lessons! LINK for How to Record a Segment for DDOcast! Episode 233 is ready! Here’s a LINK to the episode – just left-click to play, right-click and ‘save as’ to download as an mp3. You can find DDOcast on iTunes, the Zune Marketplace and Cyberears.com. This week Sig and Anne talk U11, Artificer Build Ideas and Contests (with special poetry entry from Skaggy The Poet). We also have an Interview with Marcy Rockwell on her recently Released DDO book, The Shard Axe. Another mind-bending puzzle from Necrobotinist’s DDO Puzzler and Ecgric’s Review of Artificer with Rowenheal! Also, thank you to the Heros of DDOcast! Who have donated thus far to helping us maintain the DDOcast website and gain other goodies for everyone! DDOcast is giving away 1,000 TP! Read more here! 0:10:02 LICH Line Caller: Rhyz, Says Thanks! 1:13:19 What’s Up With Us in DDO? LINK for MajMalphuktion Tells All: Dear Devs, Why do you bother? LINK for What Happened to Suffix/Prefix Overwrite in Cannith Crafting? LINK for Get a job @ Turbine! Skaggy Staves Off Retirement With a Song! Sorry for messing you around but due to the emails and tweets of sadness I am postponing my retirement and turning it into a summer break here is a song you can put on the DDO site ASAP to celebrate! Please enjoy! 🙂 And take it easy Skaggy! Rest and recoup your creative batteries! We’ll be here when you’re back! Donate DDO Poems to Skagtraviganza! Skaggy’s First Anniversary of composing DDO Poetry is soon upon us! That’s right he’s been creating poems for DDOCast and DDO fans to enjoy for a year now! Let’s celebrate by giving all our favorite DDO poems to Skaggy! Skaggy will then produce a special Skagtraviganza podcast for us to enjoy! Do you love your M-M-O-R-P-G? Are you a forum naysayer? We are calling you out, hear our plea! You are a closet poet and now this is your chance to let your inner poetical beast out! You love DDO and Skaggy so much you wish to serenade him with your melodious words. Perhaps you are angry at the devs for gimping your build in the last update. Emotionally move them through the power of poetry! You weep silently because your Druid dreams have been dashed time and time again. This is the time to expose your anguishing and grief-stricken heart in the form of melancholic balladry. You can post them here in our comment’s section or you can email them to either ddocast@gmail.com or skaggythepoet (at) aol.co.uk.